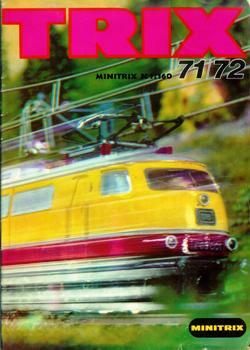 The Minitrix 1971 / 1972 catalog is very helpful in tracking the product line since almost all items were shown. This is a comprehensive list of what appears in the 1971 / 1972 catalog, using the older format model numbers instead of the Mangold system. In collector’s box, no track.